These peanut butter and oat breakfast bars are vegan, full of protein, and hint of chocolate to make you feel like you’re getting a bit of a treat. • In a pan dry roast oats for 2-3minutes set aside. • Dry roast peanuts on a low flame for 5-6minutes and then add almonds, walnuts roast for 2-3minutes and set aside until it slightly cools down. • In a mixer jar grind flaxseed to powder and then add the nuts and pulse once/ twice just until the nuts are coarsely crushed. • Grease a tray/plate with cooking spray and set aside. • Melt the chocolate in microwave/ on double boiler. • Now in a bowl add roasted oats, coarsely crushed nuts, peanut butter, melted chocolate and mix well. • Transfer this mixture to the greased tray spread and sprinkle some chocolate chips and press it down slightly and let it stand until its hard and then cut into bars. 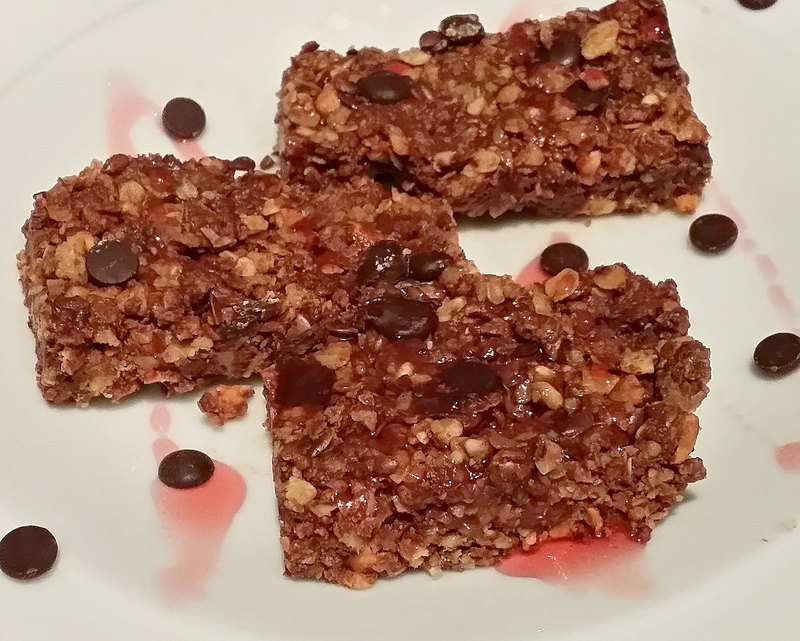 Posted on April 16, 2014, in Appetizers, Breakfast, Indian, International, Kids recipes and tagged Breakfast healthy bars, drchdietfood, No cook & bake bars, nuts, oats, Walnuts. Bookmark the permalink. Leave a comment.